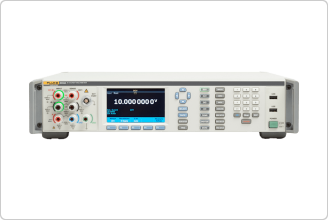 The 8558A 8.5-digit multimeter offers 5 mega-samples-per-second high resolution digitizing for system automation in labs and manufacturing test environments. Fluke’s new high-speed system design and the industry’s fastest direct digitizing capability enable significant throughput increases for many automated system applications that require a combination of highest speed and best accuracy. The superb accuracy is delivered over a wide measurement range, over nine functions, with an intuitive user interface on a color display. The 8558A shares the same platform as the fully loaded 8588A Reference Multimeter. The platform features a common intuitive user interface with easy-to-navigate menu structure for all configuration and matching SCPI-compliant commands for automated environment. 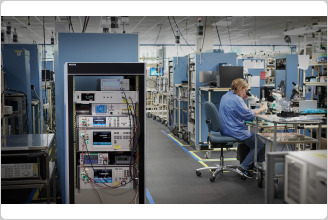 The 8588A platform guarantees a minimum of 100,000 readings per second at 4.5 digits across GPIB, USBTMC or Ethernet, and an onboard data memory that can hold up to 15 million readings. Active terminals light up, guiding the user to make the correct connections. Range, aperture, input impedance, RMS filter and other measurement configurations are readily available. The intuitive user interface and flat menu structure make it easy to access configurations and view trend plots, waveforms, FFT, histogram and statistics. Eliminates manual operation and allows immediate ratio results through a single remote command. Enables industry's widest current measurement range through a single terminal. Adapt to the active function, so the menu structure is intuitive and easy to learn. Choice of English, Chinese, French, Japanese, Korean, Russian and Spanish. Toggles the continuous, or free run, measurement state. Download data quickly and easily to a flash drive. Precise triggering maximizes synchronization in system automation. Enables 100 MHz frequency counter measurement at 0.5 uHz/z. Mirrors front panel input terminals for connection compatibility and allows for front/rear ratio measurement. Standard remote interface for straightforward system integration. See our 6.5 digit and 5.5 digit multimeters. See the full lineup of Fluke bench multimeters. Shorter test time on the 8588A/8558A high-speed digital platform enables you to increase throughput, improve yield and realize a greater return on your investment. The 8588A/8558A digitizes to memory at 200 nanoseconds per reading and delivers 4.5 digit data to a PC via USB, Ethernet and GPIB at 100,000 readings per second. Fast, high resolution data capture gives you the quantity and quality of information you need to make timely, correct decisions affecting system throughput and efficiency. The 8558A features a 5 mega-sample digitizing rate with up to 20 MHz analog bandwidth, making it the first and only instrument on the market that can characterize extremely low level transient signals at 18-bit resolution. This capability makes it easier to debug designs, uncover anomalies and perfect your devices under test for use in real life environments. Inserting a new instrument into a tightly synchronized system can create overhead and incompatibility. 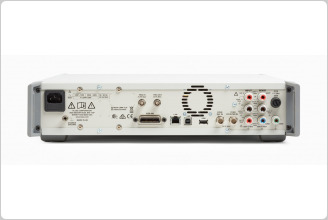 The 8558A’s digital platform includes common connectivity interfaces plus precise triggering that lets it digitize, integrate and transfer data to anywhere in the system for analysis, with minimal obstruction and the highest reliability. Some popular system digit multimeters have complex menu structures and unintuitive commands, while others lack any user interface, presenting barriers to training and operation. By contrast, the 8558A features an easy-to-access configuration menu that makes it easy to train new users. Language choices include English, Chinese, French, German, Japanese, Korean, Russian and Spanish. The graphical display lets you easily visualize trends, histograms, complex waveforms, and statistics. Repeatable system-specific tasks can be automated quickly and easily. The 8558A’s front panel features Visual Connection Management™ output terminals that light up to show which terminals are active, guiding the user to make the correct connections. The handles and spin wheel are over-molded for comfort and easy transport. USB host ports are placed both on the front and rear of the unit. Use them to export data to external memory devices and simplify firmware updates. 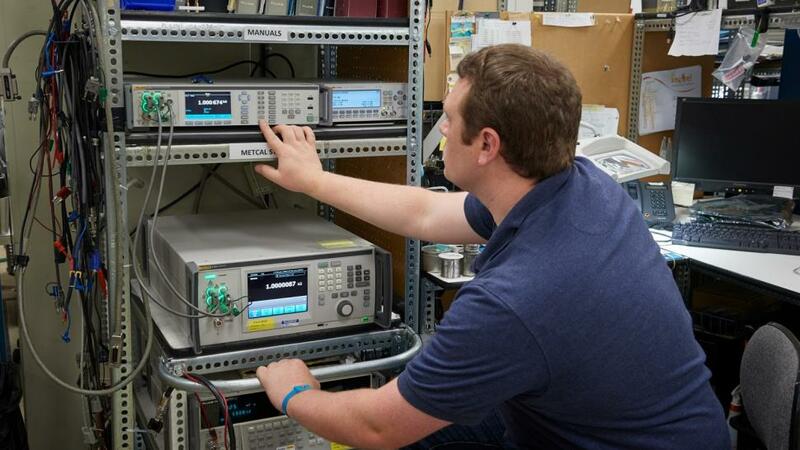 The 8588A and 8558A work with Fluke Calibration MET/CAL™ Calibration Software,, in 8508A emulation mode, allowing increased throughput while ensuring calibrations are performed consistently every time. This powerful software documents calibration procedures, processes and results for ease in complying with ISO 17025 and similar quality standards. 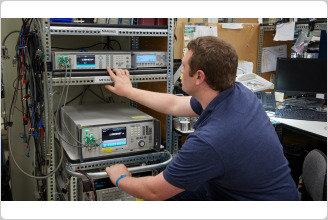 Fluke Calibration offers testing, repair and calibration services to meet your needs quickly and at a fair cost while maintaining the high level of quality that you expect. 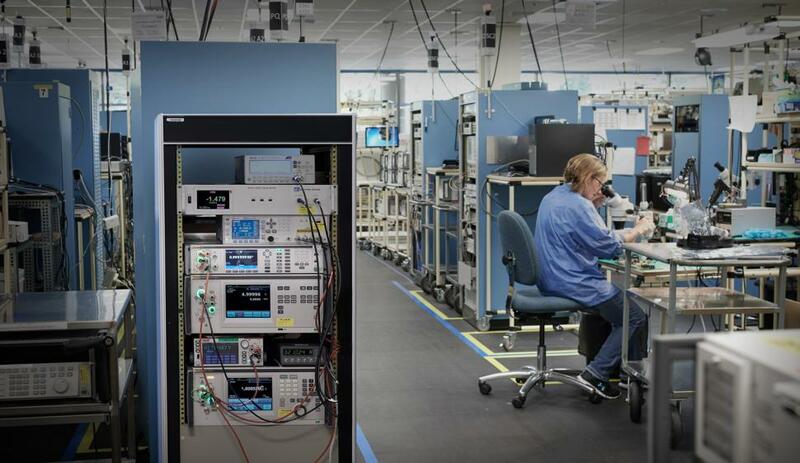 Our electrical calibration laboratories are accredited for conformance to ISO Guide 17025 and we maintain global calibration and repair facilities. The 8588A/8558A multimeters come with a standard one year factory warranty. You can enhance warranty protection with a Priority Gold Instrument CarePlan service package.